Dirk Koetter was fired from his job as Tampa Bay Buccaneers Head Coach an hour ago. This after a close loss to the Atlanta Falcons 34 to 32. His record was 19 wins and 29 losses. The Bucs had the NFL’s best offense in 2018; to continue that record, the Glazers should hire Pep Hamilton. Pep coached Andrew Luck with the Indianapolis Colts, and at Stanford. He would do well with the Bucs QB Jameis Winston. 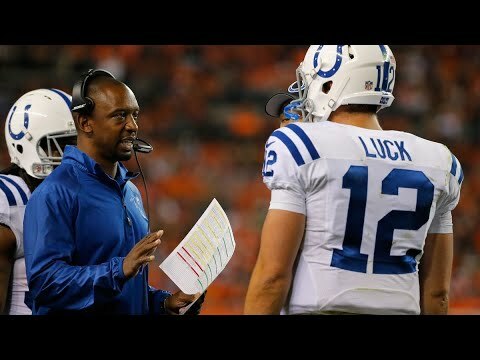 Be the first to comment on "Bucs Fire Dirk Koetter As Head Coach – Pep Hamilton Should Be Hired – Vlog"